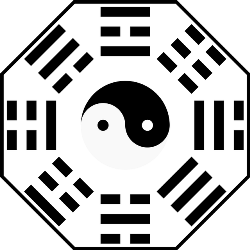 Trigrams are the very founding basis of feng shui. Everything about feng shui originates from these 8 trigrams. Here is the visual arrangement which most people will have a little familiarity with. However do note that there are 2 trigram arrangements in existence. The one above, which is what we use most of the time these days is sometimes called a “Later Arrangement”. Qi Men Dun Jia (奇门遁甲), another school of thought which is gaining widespread popularity uses it too. It is termed a “Later” arrangement because there is actually an earlier version of it where all trigrams are in different positions. These days, it is generally agreed that the early arrangement is used for more “Yin” purposes, while the later arrangement is applied on “Yang” purposes. Generally, this means that you will be fine by using the later arrangement. If you ever get into a specific situation where the early arrangement needs to be accessed, you should already know the reason why that is so. Below are the directions of early arrangement and later arrangement in a table. 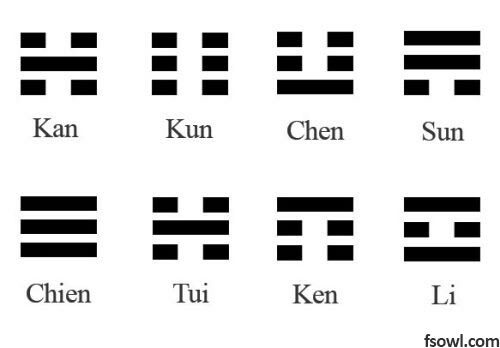 Do note that because of a difference in positions of the early trigrams compared to later trigrams, early trigrams will represent different numbers, which is not discussed on this page.